Stunning two story house, 4 bedroom/ 4 bathroom with a bonus room and finished Mother-in-law suite in basement. 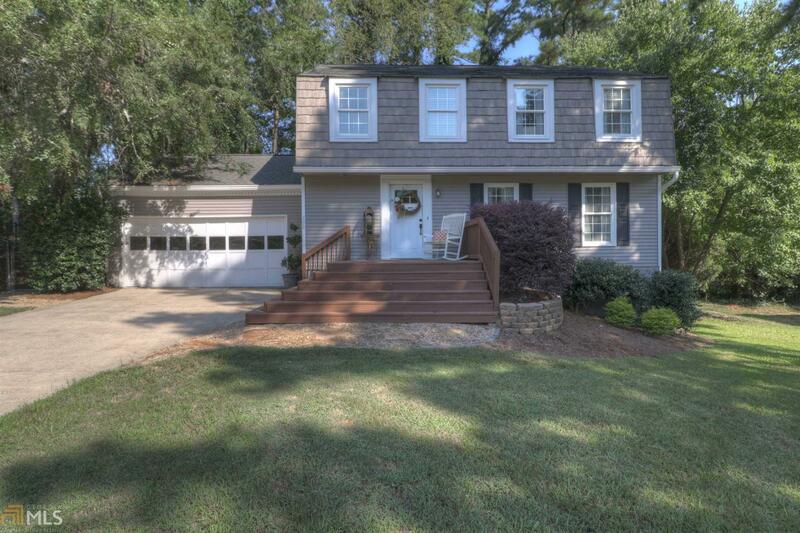 Located in the heart of Peachtree City. Newly renovated with Luxury laminate planked floors, designer light fixtures, crown molding throughout, new exterior paint, newer roof, landscaping and irrigation system. ew HVAC installed in July, 2018. Vinyl double-paned windows. Screened porch, grilling porch and spacious fenced in back yard. Low maintenance lawn. Room in finished basement can be used as 5th bedroom, extra suite, or media room. Copious storage. Walk or a golf cart ride to lakes, shops, community gardens, BMX track, and the amphitheater. Directions: From Ga-54/74 Intersection, Head South On Joel Cohen Pkwy, Second Traffic Light Turn Left Onto Kelly Dr, First Right Onto Sweetgum Rd, Immediate Right Onto Charter Oak Ct, Left Onto Butternut Lane - #108 On The Right.